World of Zing is the UK’s first ‘Contemporary Food & Drink Emporium’ – bringing together some of the UK’s most exciting flavour experts – from chefs to street foodies and mixologists – to create an inspiring range of produce and ingredients to add a touch of ‘Zing’ to our everyday culinary lives – and their latest indulgence is flavoured sea salts for Margarita rims! How else to celebrate #NationalMargaritaDay, eh? And where better than Covent Garden’s Agaveria, El Nivel (Click HERE for Review! ), for the venue? Zing owner, Pritesh Mody, hosts with El Nivel’s legendary Jesse Estes behind the bar to serve up OCHO Tequila Margaritas to accompany the La Beleine sea salt from the Augues-Mortes saltworks in Camargue, France. 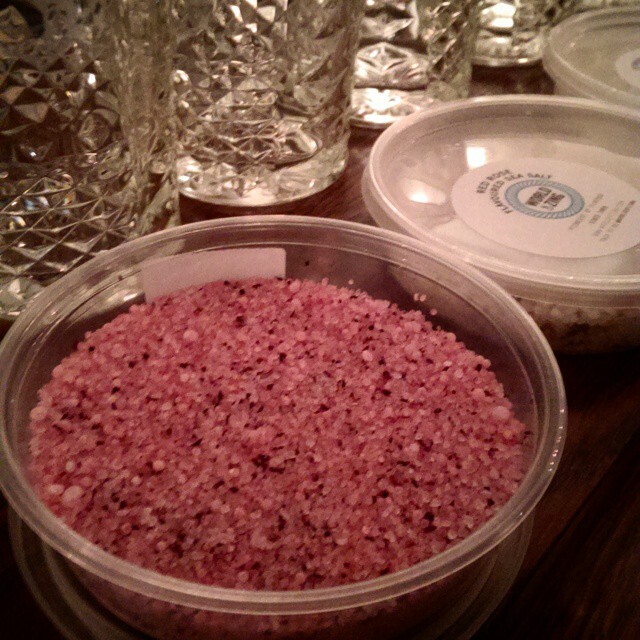 A selection of six sea salts were presented: Hibiscus, Red Rose, Seaweed, Applewood Smoked, Mexican Chilli Cactus, and Citrus. And that’s listed in order of least to most favourite, so let’s have a quick run through! The floral Hibiscus, and Red Rose salts were the least interesting as Margarita rims – and raised an entire discussion regarding the importance of ‘subtlety’ in situations like a Margarita. What was notable was that the Hibiscus was rather more… perfumed in comparison to the Red Rose, but otherwise came off as, well – salt. There is unfortunately not much to say about these two. The Seaweed salt, however, stood out a bit more – if you managed to get some seaweed onto the rim – perhaps being more evenly distributed would help, but as a flavour was actually rather enjoyable. 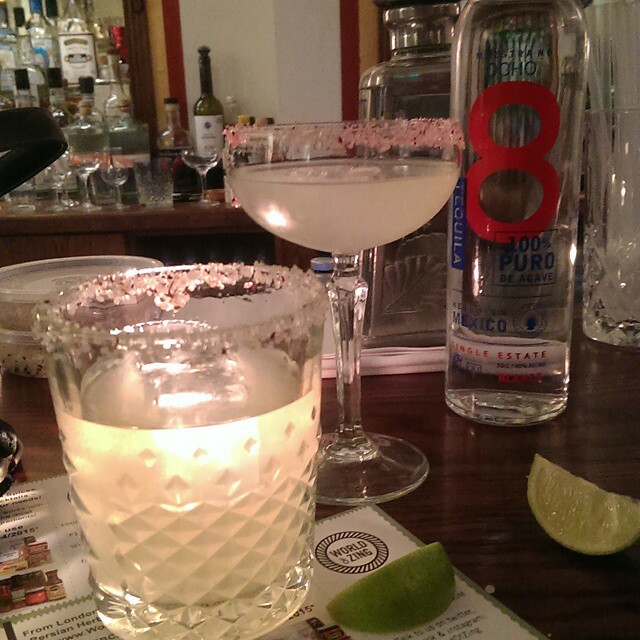 I can see the flavours of the seaweed salt going particularly well with the OCHO or with a Herradura Platas Margarita. Perhaps freeze-dried and powdered seaweed might distribute better than the larger chunks we get here, but still a fun salt to experiment with. The Applewood Smoked salt is certainly a major step up, this is where the distinctions between the salts begin to stand out. Characteristically smoky, dark and luxurious – I would love to have tried this out with an Anejo tequila. I can imagine a Margarita using Grillos or Ambar for this salt. Wonderful. Now the toss-up between the top two. The Mexican Chilli Cactus brings a bite, a spicy kick, and has something fennel about it. Perfect for a Margarita, its spiciness is coupled well with a flavour reminiscent of agave. And finally, the one that none of us were sure of until we tried it: Either it would be uninteresting with all the lime in the Margarita, or might complement it wonderfully: along with the Mexican Chilli Cactus, the Citrus turned out to be a winning flavour. Intensely citrus, yet smooth and only the slightest of bite, the Margarita is complemented wonderfully by it, though I suspect it will go best with blanco tequila based Margaritas. The only concern would be that the salt could be finer than it was, but it certainly didn’t diminish the flavours! 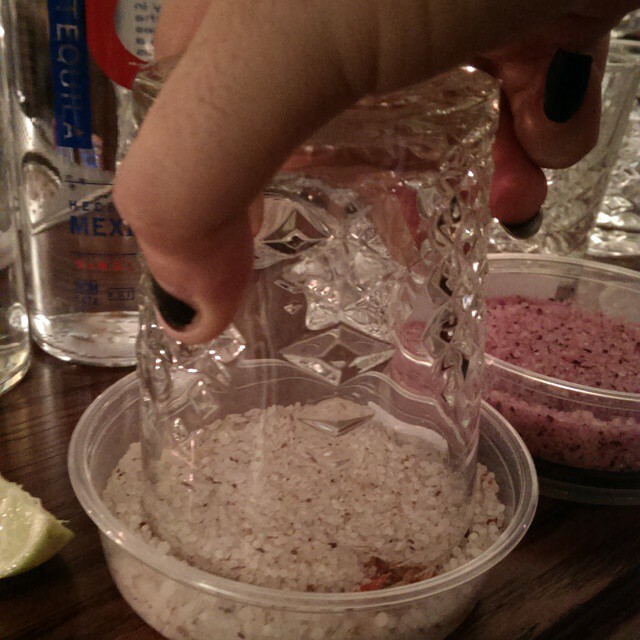 Though the Hoodooist himself prefers his Margaritas salt-less, he certainly enjoyed this experience, and thinks it would be a fantastic addition to a house party to have guests customise their Margaritas. He certainly looks forward to trying the rest of the salt collection available on World of Zing’s website! This entry was posted in Bars & Cocktails, Festivals & Events, Gastronomy and tagged Gastronomy, Margaritas, Mixology, National Margarita Day, Salt, Tequila.